Every year we get an opportunity to navigate our way through the Michigan Annual Conference as United Methodists. And at times at Annual Conference I wonder why I am a United Methodist. I did not inherit this faith. I did have an opportunity to grow up in “the church” but not as a “United Methodist”. So, for me, being United Methodist was and is a choice. There are some specific reasons I embraced the United Methodist Way of being Christian. My intent is to write the first of three Pastor’s Ponderings to you in this month’s newsletter. In this, the first addressing, I want to give you a few reasons why I am United Methodist. 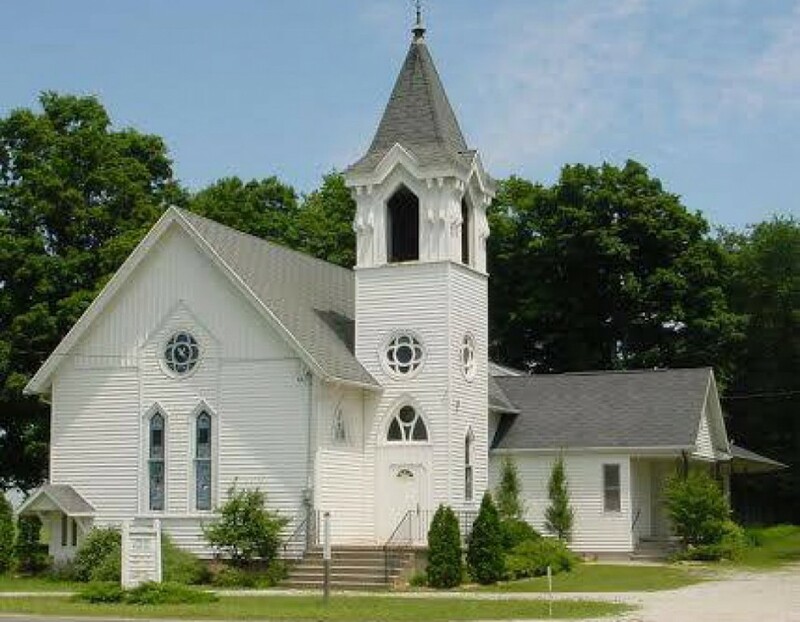 My second writing for July will be a continuation of why I chose the United Methodist Church. And for August my intent is to write about some of those things that, from our 2018 Annual Conference, continue to engage me as a United Methodist. As I share some of these reasons to be a United Methodist I encourage you to engage me in a conversation as to why you have chosen to be a United Methodist. I will be presenting these reasons why I am United Methodist in no particular order. Religion should be a matter of head and heart. Since the beginning, people called Methodists have used the best of the resources available from Scripture, reason, tradition and personal experience in the practice of their faith. I will unpack some elements by starting with, as Methodist, we take a serious approach to the witness of Scripture rather than a literal approach. We consider what this message of the Bible said to the people who originally heard it and we discern how it still speaks today to the people living in very different circumstances than those who first heard the Word. As we do that, however, we seek to remain open to all of Scripture which speaks to us and commands that we witness to Scripture. We, as United Methodists, are not required or allowed to check our brain at the door. We use our God-given abilities, including powers of reason, to discern what is necessary, right and good. We believe that God wants thinking Christians, not sheep who are disengaged. People called Methodists also value being part of “that great cloud of witnesses,” which is the most vital part of the tradition of the Christian church. We believe the faithful examples and practices of our forerunners in the faith have much to teach us about how we might become better disciples. In lifting up tradition we make an important distinction between tradition and traditionalism. Traditionalism is a form of idolatry that perseveres the practices of the past at the expense, or perhaps even exclusion, of the church’s mission in the present age. Tradition is practicing the essentials of our faith in a way that engages us today with the vital message of the gospel. In all we do we strive to be on the living edge of Christian faith. We believe God still speaks to people today. The Methodist movement began with an experience of one individual, John Wesley our founder, who had a personal encounter with Jesus Christ that left his heart on fire for God. For years now, one of the questions asked of Methodist pastors are: where did they and how are they currently experiencing Christ as their Lord and Savior? When Methodist gather in small groups or engage one another we are to inquire, “How is it with your soul?” This should be done as a way of inviting each person to share their personal experience with God. We believe that such experiences make all the difference. From generation to generation the people called Methodists have believed that an individual encounter with God in Jesus Christ has the power to transform a person’s life. The experience opens them to new understandings of the Bible, offering new ideas about their place in God’s creation and prompts them to consider new ways of practicing their faith in the world. Next month I plan to write about what United Methodists believe about salvation, which makes a huge difference in how we experience and share, “Being in Christ,” which can influence us to engage the world. Many of the best gifts of our Bible witness, the reasons guiding our light, and living as Christians in a tradition and a personal experience of God saving grace direct our journey and satisfy our soul. I wanted to thank you all so much for your support with the Oceana Shores Clean-Up Day. The day consisted of a great sense of community. We had 4 dumpsters at the park and one trailer. These were pretty much filled by 11:00. We ended up calling and getting 2 more dumpsters. Folks were lined up with items waiting. People from the park brought to the cook out hamburgers, chips and pop to add to the meal. It was a wonderful group effort. Folks from the community pitched in cooking, cleaning and visiting. It was a fun day filled with building relationships and cleaning up. Without your support this day would not have been possible. Special thanks to all who made cookies, sat at a dumpster, helped with the cook-out and so much more. $476 was collected and donated to Teen Challenge while they were visiting recently. Thank you to everyone for digging deep in your pockets for this very worthy cause. A letter of appreciation from them is on our bulletin board. We’re getting there, folks. Our balance as of May 20th is $4,301. That means we only have $1,199 left to raisebefore we will be giving many, many Nigerian people safe, nearby water for drinking. We still have items for sale on the table, we’re still collecting pop cans, we still have a book sale going on, we will continue having monthly luncheons until we reach our goal, and of course, you can always donate money by marking it and placing it in the collection plate. Keep up the good work! One: ​Jesus calls, inviting us in. All: ​Holy, Holy, Holy God, we gather as your children. One: The Spirit calls, inviting us to listen. All: ​Holy, Holy, Holy Christ, we sit at your feet. One: The Father calls, adopting us as family. All: ​Holy, Holy, Holy Spirit, we come to worship. Children’s Time –“How Do You Get Up to Heaven?” Shalom Offering. After prayers, sing the Children out – “Jesus Loves Me.” Children 5 and under are welcome to remain in worship or go to the nursery at this time. All: ​We are like trees planted by streams of water. All: ​We are like children sheltered against the storm. All: ​We are one in Christ. One: ​Come! Let all who draw breath worship the Lord. Children’s Time – “Honor Your Mother” – After prayers, Sing the Children out – “Jesus Loves Me” Children 5 and under are welcome to remain in worship or go to the nursery at this time. All are invited to join us outside as we plant a tree in memory of Lorie Day, Kathy’s Kids’ Grand-mother. A huge thank you to all our youth who so graciously stepped up to the plate to help lead our Mother’s Day service. You are such a blessing to this congregation. We are proud of you and count you as a huge part of our church family. Don’t forget our grill-out next Sunday after the church service to help raise money for our Nigerian Well Project. No need to bring any food, it is being taken care of by our Missions Committee. Come join in the fun. One: Sing to the Lord a new song. Let the mountains quake. All: We worship a God of wonder. One: Sing praises to our God. Let the musicians join the heavenly​chorus. All: ​We worship a God of saving love. One: Shout triumphantly to the Lord, all the earth. Let the seas​​roar and the rivers clap their hands. One: ​Come! Worship the Lord. Children’s Time – After prayers – Sing the Children out – “Jesus Loves Me” Children 5 and under are welcome to remain in worship or go to the nursery at this time. Our sincere thank you to Edie Bogart for filling in for Pastor Gary today. We are so blessed to have you as a part of our church family and to have you volunteer as Lay Servant. God has blessed you with a gift and you’ve in turn, blessed us by sharing that gift. Thank You! !